We inspect what you expect.. It's kinda like a "Free Brake Check"
After careful analysis of your proposal and website, our SEO Analyst ninjas send the detailed reports via carrier pidgeon in as few days as it takes for them to fly to you. You can send the list of tasks that still need to be done to your marketing agency to rapidly improve results. Compliments of yours truly. You know that feeling when you wish you knew something a year or two ago because it would have saved you or your business a costly setback? The 9 MUST KNOW Life-or-Death Hacks are for every small business before attempting or hiring out any online venture. The handy pie graph concept illustrates a message intended to save years of internet marketing struggle and tens of thousands of dollars. We each know a lot about a lot and we also know there’s stuff we don’t know. We just don’t know what we don’t know and when it comes to online marketing it can make or break a marketing director, a business, or even a good cause. When it comes to internet marketing, a big brand or even a trusted referral is still too risky if we don’t understand some basics at the get-go. Would you Rather Be Located In... Busy Downtown or an Empty Field? If lemonade is what you offer and the stand is your website, you want to set it up right. If you already have a website skip this part, if you need one read this first. Contrary to popular belief “if you build it”, no they will NOT come… You have to build it where people are located. Unless you do, all you have is tons of lemonade in a big empty corn field that nobody but the birds can find. This step takes raw data and research software. Building your website without first consulting the data is like picking a random spot on a map to place your lemonade stand. If nobody’s in the desert it doesn’t matter how good the lemonade tastes. If you wanted a billboard to be seen by people you don’t place it randomly in the desert. If you want people to look at it you’ll want to know where all the people are. This is where you’ll want to map out your demographic data. Depending on your target audience, you’ll want to scout out all the best hiking trails, small and large roads, the best intersection, and you may even research the most crowded places like Time Square. Doing the proper research is this road less traveled, which ironically is all about the roads most traveled. It is the heart of the profession of an SEO (search engine optimizer). Would you consider choosing metaphorical New York’s Time Square as the first choice spot for your lemonade stand? Maybe, but keep in mind the greater the visitor traffic the more competitive it is to get there. This choice is one of the most common mistakes in internet marketing. The easiest way to see if SEO companies are worthwhile is to look at the keywords they target in the proposal they send you. If the keywords are unrealistically competitive you know you need a second opinion- especially if your SEO analytics on your site are just getting started. It might sound counter-intuitive but the more excellent strategy is to avoid the popular keywords at the beginning and go for the less competitive ones. 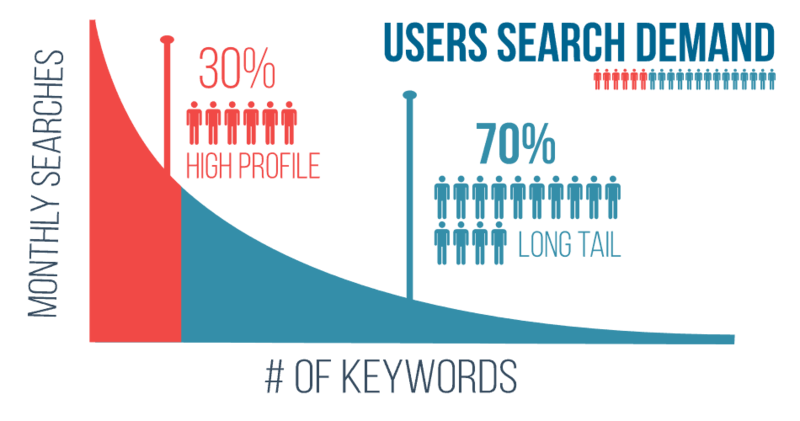 High volume and lower competition keywords with a specifying element are called “Long-Tail Keywords”. These are valuable search phrases with a higher degree of specificity. SEO analyst software can find the absolute highest traffic roads with the least competition for your lemonade stand. This data becomes the heart of your road map and it is the absolute first step to any intelligent online venture. Tackling the popular keywords can be as daunting as going up against a 400-600 lb Sumo wrestler. You don’t want to be a scrawny little website trying to push over a Sumo wrestler website- it’s just not going to happen. If you want to push over the Sumo wrestler website to get all the attention online then you must first gather the smaller Long-tail wins that build trust with the search engines. Start at the kinder gardener’s playground and work your way up. Collect the visitor traffic of each Long-tail keyword like baseball cards and you’ll start to become a bigger and bigger fish. Our team of internet marketing consultant ninjas agree that the key is to focus more on the road map of where you want to position your website rather than on your website. The road map is the treasure map for your lemonade stand. Think of a board game. The strategy is more about investing in placement and really understanding how the chess board and pieces work toward the win rather than merely polishing up the look of the chess set and playing with only a distant glimmering hope to win. Website design professionals are amazing and we all need to make friends with a good one. However, it’s imperative to note that although professions do cross, the website design profession is completely different than search engine optimization profession. Website pros are trained to work backwards from the direction SEO professionals work. Whereas the average website designer typically works from design towards content the SEO will work from the framework of strategic content first and then perfect the design after. Misinformation might have you believe that all you need for success is a good enough website. Therefore, some build a good looking house upon the sand. It’s the same “if you build it, they will come” thinking that all you need is a good enough chess board and impressive enough pieces. New visitors come from an eye single to knowing what phrases your target audience is typing in the search bar right now -> The search engine results come from intentionally optimized website pages-> Each webpage article is intentionally optimized to target a specific Long-tail Keyword-> Each Long-tail Keyword is already vetted and deemed worthwhile to have. In the end, to win the game you need new visitors to your website. 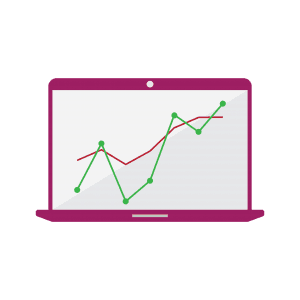 The measure of internet marketing success is the increased number of new visitors per month. 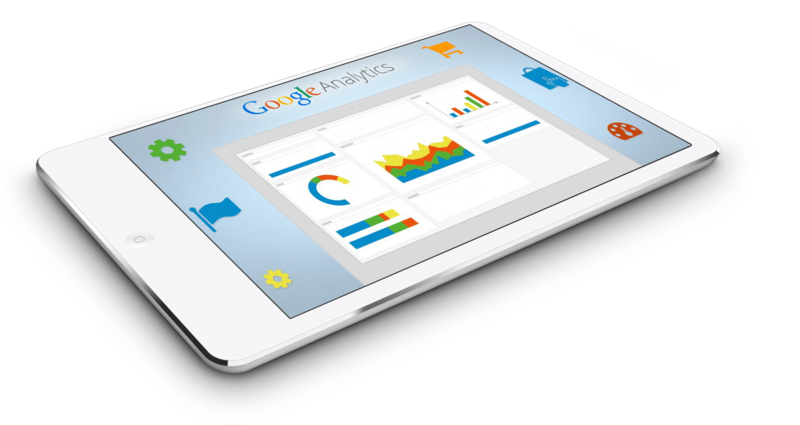 In the Google Analytics Dashboard, focus on only the line graph that shows the number of new visitors. See if the number is moving the needle in the right direction at the pace of your budget. If you need someone to walk you through this, one of our team members’ full-time gigs is to do screen-share walk-throughs. We can send a link for you to join and then help set it all up. It’s a chance for us to build a professional relationship of trust with you. New visitors to your website can come from a variety of sources. Our team of SEO analyst ninjas assert that the visitors who find your site while searching for specifically what you offer yields the greatest return on marketing investment because of their active pursuit for what you have. Facebook marketing and other ad marketing are usually more passive and even bothersome. We love search engine optimization because when you achieve a top ranking it becomes much easier to keep that ranking and you can build on that momentum. Your website asset then becomes a worthy asset not unlike ocean front property that increases in value. Strategic positioning is what matters most. If you’re found in the top 4 spots you’re doing something right. Even if you’re hiring it out, learning the basics of the chessboard and knowing what the pieces do is a marketing departments highest ROI for time invested. Then, you can inspect the game to know whether or not it’s being played according to the best strategies for the victory of your company. Search engines use an indexing system to index where customers can find your website. Online indexing is not unlike those old paper index card systems like the kind that blew up in the Ghost Busters. Remember the scene when the freaky ghost slimmed Bill Murray and made all the library index cards go flying everywhere? Not sure which would have scared a librarian worse the scattered cards or the ghost but the element of disorganization is where your on-page optimization matters. Your amazing article could be all about professional ‘internet marketing consultants’ but if the webpage words are not optimized, it might get indexed by the search engine gods as ‘cute puppy dog tricks’. You might be interested to know how your current indexing shows up. If so, I’ll show you here(link to different page). They’re always organizing and reorganizing and our job is to make it as clear as possible for them to know where to index our webpages. The task of on-page optimization to get our webpages indexed near the top of the pile of keyword search phrases is a bit of an art but way more of a science. Now that you’ve researched the most valuable long-tail keywords and have optimized each page of your website to achieve the best indexing results you’re now ready for off-page optimization. It’s the most technically advanced part of SEO and for good reason. On-page optization is needed can get you on the first page or two of the search results. Off-page optimization is what takes your website from the bottom of the first page to the very top. The original Google search engine algorhythm based indexing of websites almost entirely on the number of websites that link to that website. In the olden days of SEO ranking, companies could get their website at the top by hiring someone to get thousands of links no matter where they came from. Google rankings have adapted with ranking penalties that continue to evolve and keep the crazy ninjas somewhat at bay. The core take-away is to build your website links naturally, for long-term success, and vet the metrics of those websites who link back to you. With each update that seems to be coming with increasing frequency, SEO teams either sink, swim, or end up charging for what they can’t deliver. This is why it’s critical to be able to inspect what you expect from your online marketing consultant. Just as it is with the science of optimizing a webpage for search engine indexing, healthy off-page optimization is essential to achieve those top rankings of the all-important long-tail keywords. Our team will gladly show anyone the best tactics for effective on-page SEO but the mastery of off-page SEO will always remain our ever-evolving secret sauce. Our super ninjas have invested years of mastering their chess game and this 30,000 ft view is only a brief overview of how to objectively measure your website’s SEO progress. We even put a nice outline together for how to best optimize for on-page and even include the exact software tools you’ll need to do it. Imagine a flow of new visitor traffic to your website within just 2-3 short weeks from now. We teamed up with iDigital Promotion to deliver something never before seen in internet marketing and you’ll have to see it to believe it. We build and rent out Megasites. A Megasite consists of 10’s of thousands of first page website rankings on a network of several websites custom built to your industry that streamline results from a massive army of “lemonade stands”. Even while your website is in its infancy this step is recommended as a first step, mid-project upgrade, or final icing to your marketing cake. Imagine success before you even get started. We both know you’re sold on launching your venture with you. The next step is to join the megasite presentation by clicking on join webinar now or if you’re still deliberating you can visit our About Us page for the finishing touch.